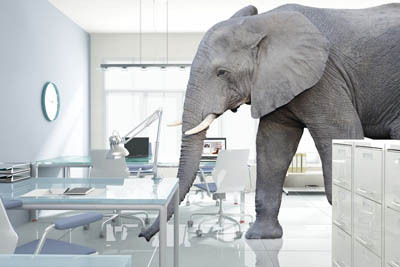 Planning For Next Year With An Elephant In The Room! Whilst our thoughts are starting to turn to Christmas, once the frenetic festive activity has subsided, this is actually a very good time to start thinking about how we are planning to grow our companies in the New Year. However, this year, there does appear to be an elephant in the room! At the time of writing, the UK is due to leave the EU on March 29th 2019. Whilst Brexit is still a contentious political issue, as businesses, we have to plan and forecast how this event may affect our marketplaces in 2019. Whilst the media may be enjoying the speculation about all of the possible permutations, it is still unclear exactly how we will leave the EU in four month's time and under what circumstances. Ideally, businesses need to prepare different strategies for the most likely outcomes so we can all minimise any impact to our supply chains, production and delivery processes, members of staff and, of course, to our customers. Some kind of deal - An agreement between the government and the EU for a gradual transition over the next few years that is then voted for by the UK parliament. No deal - The UK leaves the EU in March 2019 without an agreement and follows the World Trade Organisation rules on international trade etc. Postponement - An extension period is agreed between the UK and the EU that postpones the current March deadline to a later date whilst further negotiations take place. No Brexit - the UK decides to remain in the EU and the EU agrees to this new decision. We have avoided expressing any opinion on this subject or predicting any eventual outcome. Instead, we are deliberately focussing on how we grow our businesses in 2019 under all four of the above circumstances. Whatever the outcome, recruiting the best talent is going to be a crucial aspect of every company's success next year and those companies that have successfully planned for change will have a significant advantage over their competitors. If you want to talk over any of the above or to discuss your 2019 growth plans, our team is on hand to help.